One of the looming questions around the American Airlines-US Airways merger will be left to its employees to answer. The staff of the newly merged company will vote on the look of the plane’s tail – whether they should keep the design announced nearly a year ago or to return the company’s ‘AA Eagle’ logo back to its planes. Those two options and the reasons behind the vote were laid out in a letter to employees from new American CEO Doug Parker. The decision needs to made soon as there are planes waiting to be painted. Employees have until noon CST Jan. 2 to make their vote. “We have 620 US Airways and US Airways Express aircraft that need to be painted in an American Airlines livery,” Parker said. Parker said he is not really caught up in the painting debate but he knows it’s important to his employees. Thus, the vote. 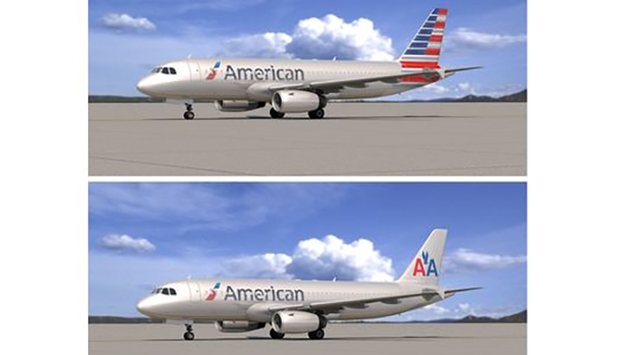 "I think our livery should represent the American brand well-it should be professional, and it should be cost efficient-but it is not a make-or-break decision for our airline. And since it is important to our team members, I think our team members should decide," he said. A new design was never an option, as it was simply not cost effective to re-do the entire plane. Plus, new composite materials on the AA aircrafts make buffing the planes to go silver is not possible. “I think the newly painted aircraft look extremely nice and have heard the same from many of you,” Parker told employees. “So, we aren't going to mess with the fuselage. That just leaves the tail."